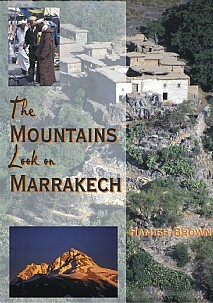 After an initial visit of three months to the Atlas Mountains in 1965, well-known travel writer, climber and photographer Hamish Brown has been back every year since, and this book is something of a love story about one man's lifelong devotion to the Atlas Mountains and the Berber Highlanders who so strongly remind us of Scottish history, although in a harsher, bigger world where storms and flash floods can cause havoc. In his own words, I had put feet to my dream and this book is the story of that dream, the end-to-end trek of the Atlas Mountains, a 900-mile walk in 96 days, which I want to share before everything recedes like a tide into the flat waters of memory. Hamish makes light of what was a complicated and notable journey with endless passes, gorges and peaks taken in. With his wide knowledge of the Atlas and careful planning, the journey was kept in steady flow despite the many hazards, but it is the many cameos of description, meetings with villagers, entertaining folk tales, etc. which will beguile the reader and surely make this one of the classic stories of modern adventuring. This richly-satisfying travelogue, which is complemented by a selection of stunning photographs of landscape, people, buildings and plant life, is sure to be of enormous appeal to anyone interested in travel writing, the landscape and looking for an absorbing and engrossing read.